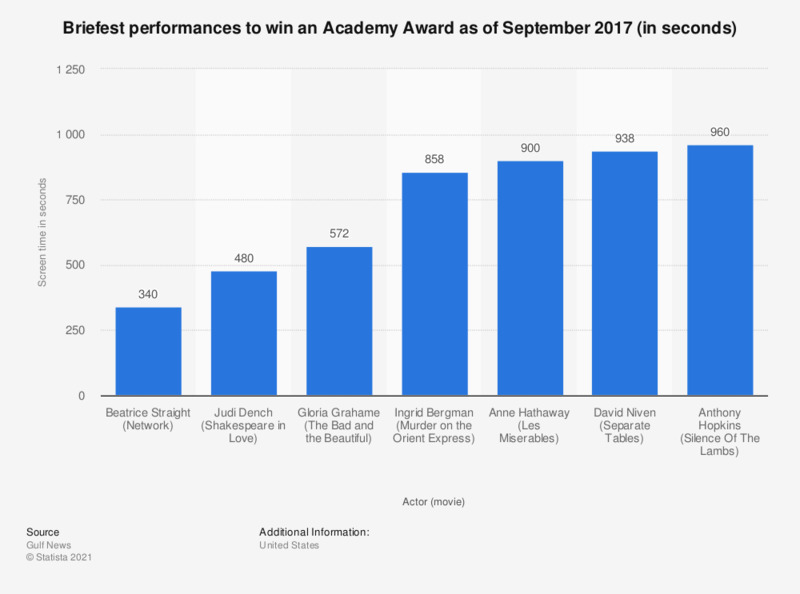 The statistic presents the briefest on screen performances to win an Academy Award as of September 2017. The briefest on screen performance to win an Academy Award came from Beatrice Straight for her best supporting actress role in 'Network', which last just five minutes 40 seconds. Figures have been converted into seconds.